Our final stop is a short walk/ tram ride down Sydney Road from our previous stop. 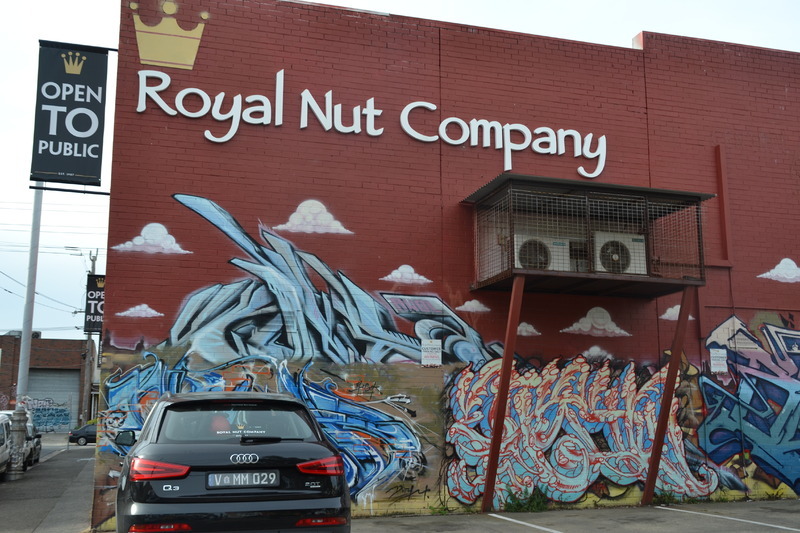 Despite the complete lack of connection between nuts and graffiti, there is no doubt that all of the graffiti on the walls of the Royal Nut Company are indeed commissioned. The graffiti is proudly displayed on their website, and as evident in the second picture, the company name is intertwined with the graffiti. 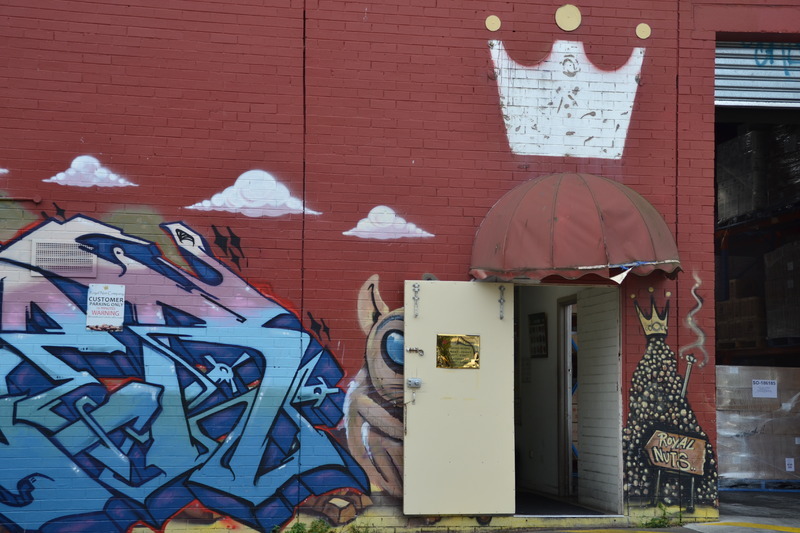 “Stop 5,” Street Art deTours, accessed April 20, 2019, http://streetartdetours.com/document/1180.